Order your Steinberg Dorico Elements 2 Scoring Software from AMS and enjoy 0% Interest Payment Plans, Free Shipping, Free Extended Warranty & 45 Day Money Back Guarantee. Featuring an intuitive interface, Dorico Elements is a streamlined music notation software that helps you write, print and play back music notation to the highest professional standards. Take your scoring to the next level with Dorico Elements, the most trusted tool used by professional musicians. 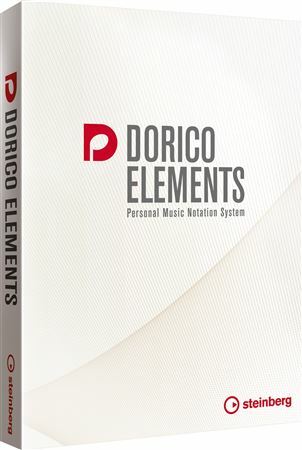 Boasting many of the powerful and time-saving features of Dorico Pro, Dorico Elements is the perfect starting point for composers, arrangers and students. With a simple user interface that is quick to master, Dorico Elements provides fluid input and editing, beautiful graphical results, and great-sounding playback. An internet connection is required for download, activation, account setup and personal/product registration. STE DORICOELMNTS2 Note: this software version does not support 32-bit plug-ins.